Steve is a career Army man. 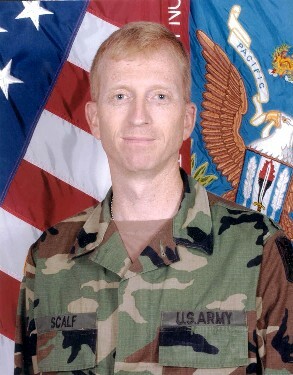 On 1 June 2003, he was promoted to Sergeant Major, and after graduating from the United States Army Sergeants Major Academy, was appointed a Command Sergeant Major in July 2004. He has completed over 21 years of active duty service, with no immediate plans for retirement. He is currently serving as the Command Sergeant Major for 205th Military Intelligence Battalion, Fort Shafter, Hawaii. Steve married Cindy on November 4, 1983 (two weeks before he headed off to Basic Training). finishing requirements for a B.S. Degree in Computer Studies with University of Maryland.